Ease effort and reduce time investment in network design, planning and extension. The basis for supporting operations and enabling further planning tools is nomad’s Network Inventory Management, for auto-discovery, topology representation and consolidated network inventory. For effective Capacity Planning, nomad identifies KPIs such as Minimum, Average and Maximum Power, Throughput, ES, SES, UAS and BBE for TSL/RSL, G.826, Ethernet Tx etc. and provides it an an easy to manager interface. Discover microwave radio line-of-sight and link budget with Link Wizard for fast, free Link Planning. 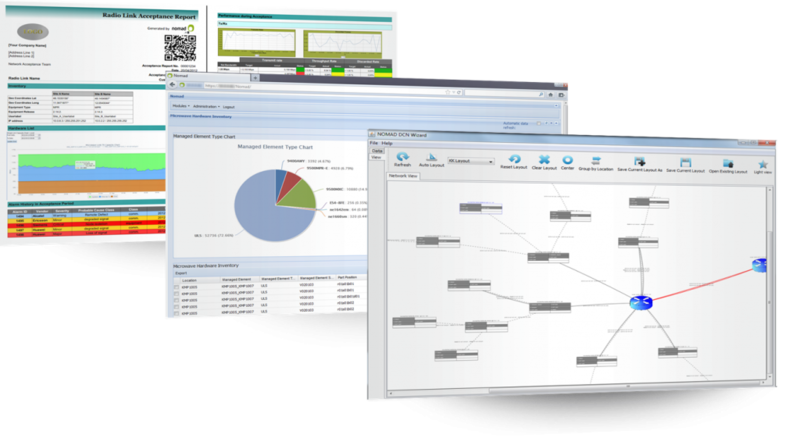 Faster, more reliable DCN design, audit and extension with 1-click work order creation. BIG VIENNA can also provide consultancy on network best planning. Contact Us using the button on the page to find out more.